The bill is meant to upgrade the Backward Classes Commission from a statutory body to a constitutional body, which will give it powers equal to a court to summon people and inquire into incidents of violence and discrimination against backward classes. 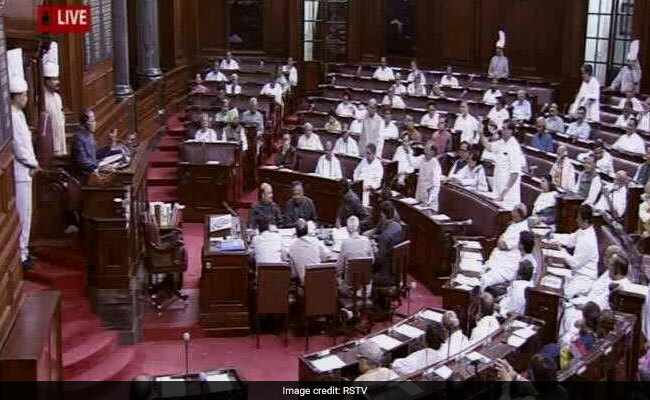 New Delhi: A constitution amendment bill was passed in Rajya Sabha on Monday with some amendments by the opposition, leading to massive embarrassment to the government, which still lacks majority in the upper house of parliament. The Constitution amendment bill on backward classes was passed without the main clause, which relates to its composition. A Constitution amendment bill needs to be passed with two-thirds majority in the house. The changed bill will now be returned to the Lok Sabha, which had already passed it, for fresh approval. But after the day-long discussion, Congress members Digvijaya Singh, BK Hariprasad and Hussain Dalwai moved an amendment that said all the five members of the commission will have be from the OBC community, and one of them has to be a woman and another from a minority community. The government objected to this. Union minister Arun Jaitley said such a provision which bars the entry of members of other communities in the commission will make the law unconstitutional. The minister said what the Congress members wanted, could be looked into when the rules under the new law will be framed. Under the insistence of the Congress members, the bill was put to vote and the amendment suggested by the Congress was also passed. After the voting, the BJP members said the Congress was against the OBCs. Minister for Minority Affairs Mukhtar Abbas Naqvi said the Congress will have to regret this "moment" against backward classes for centuries to come. The Congress contended that they only wanted to strengthen the bill and demanding for the inclusion members from the backward classes, minority and women was not a mark of being anti-OBC. The government, the Congress said, had failed to do its homework. In March, the Narendra Modi government had decided to give constitutional status to upgrade the backward commission into a constitutional body and give parliament a free hand to include any community as backward. The bill was passed by Lok Sabha in April. But Rajya Sabha referred it to a select committee as the opposition wanted more scrutiny. PM Modi had accused the opposition of blocking the bill, saying "denying the backward sections their rights with such negative politics is regrettable".